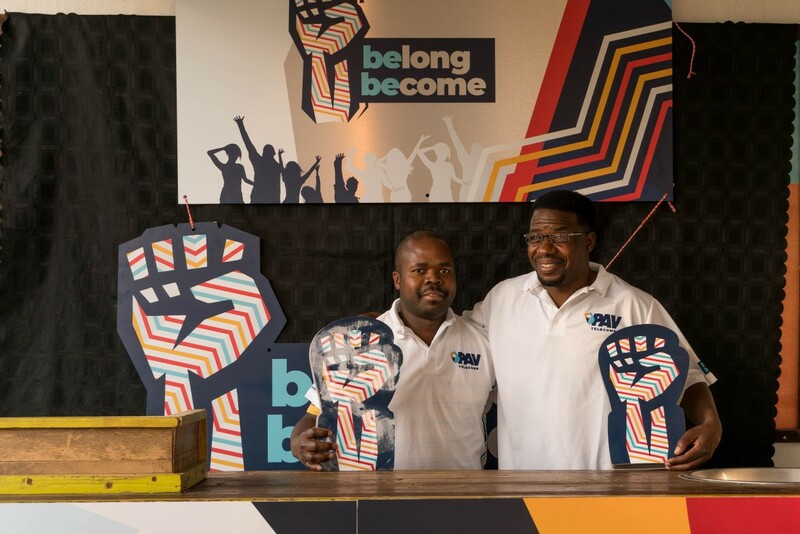 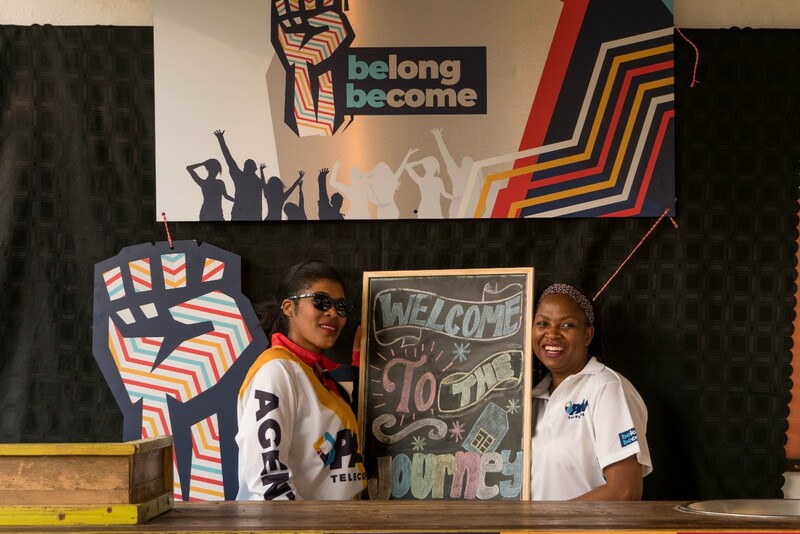 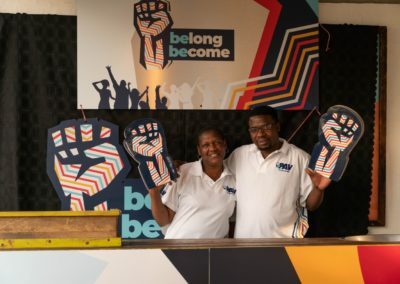 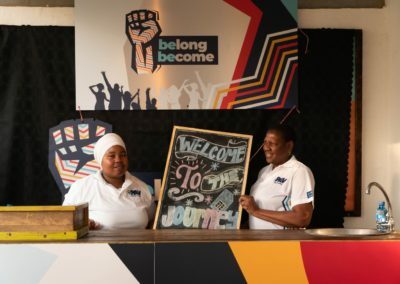 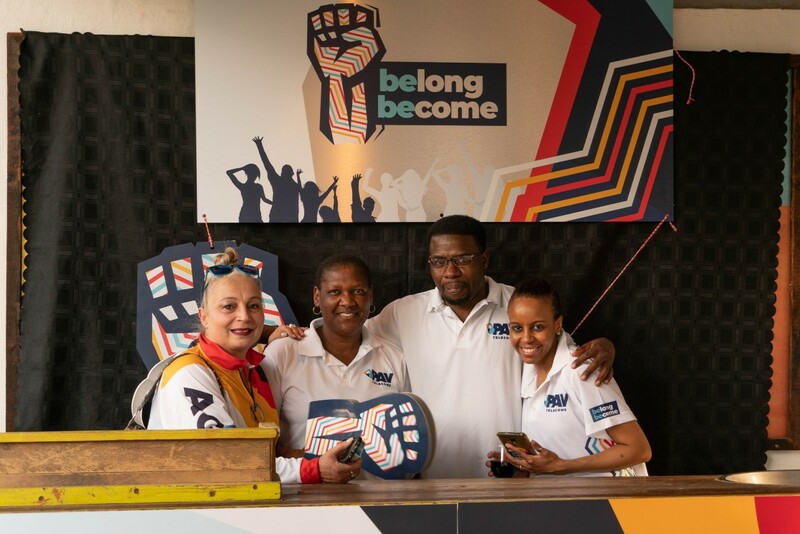 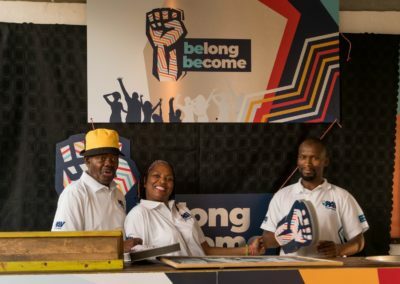 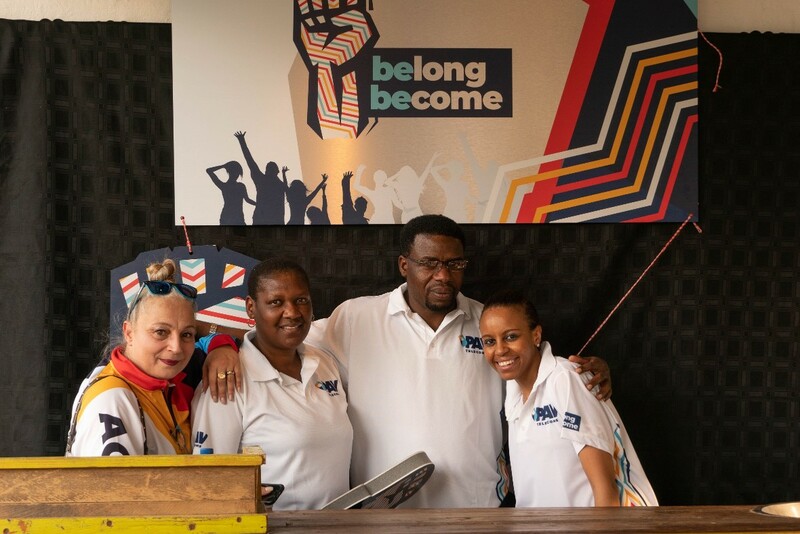 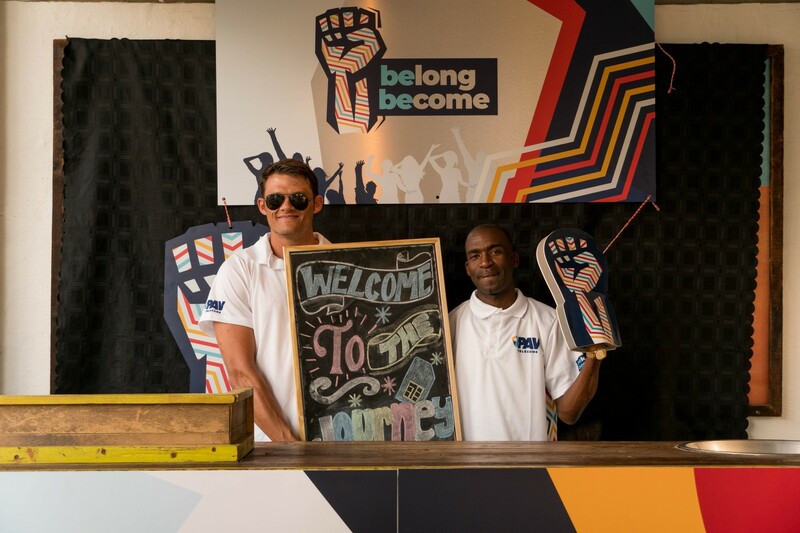 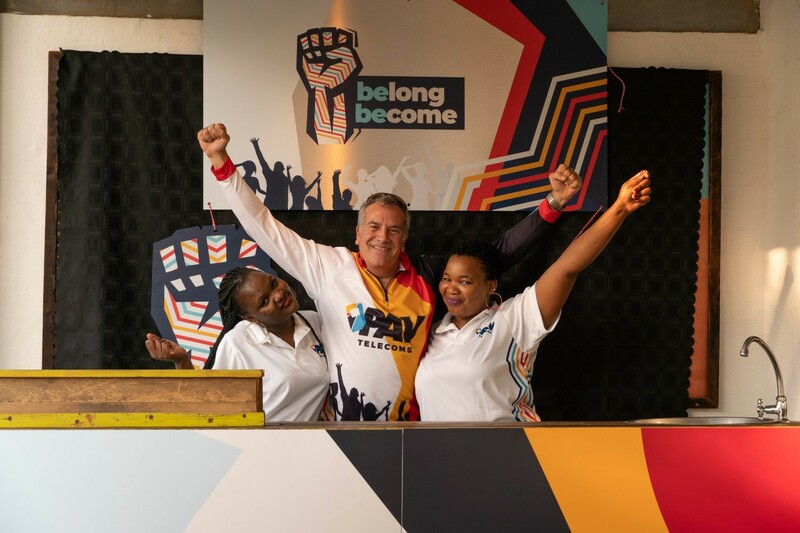 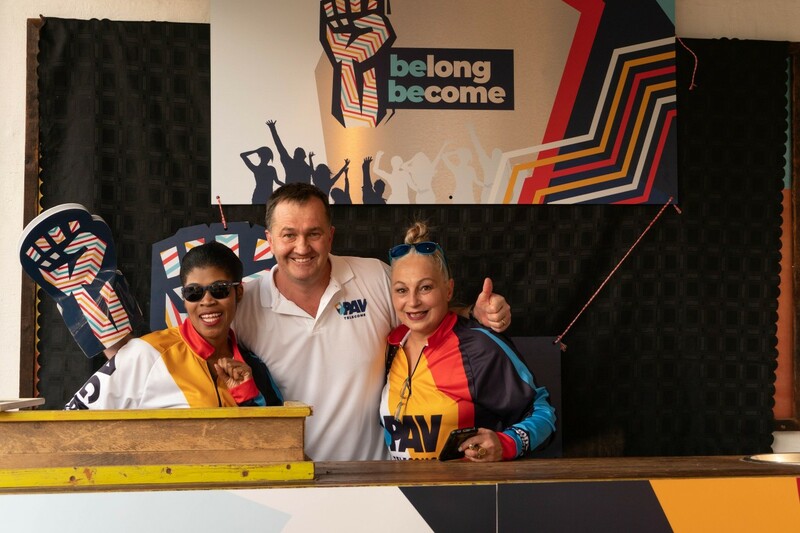 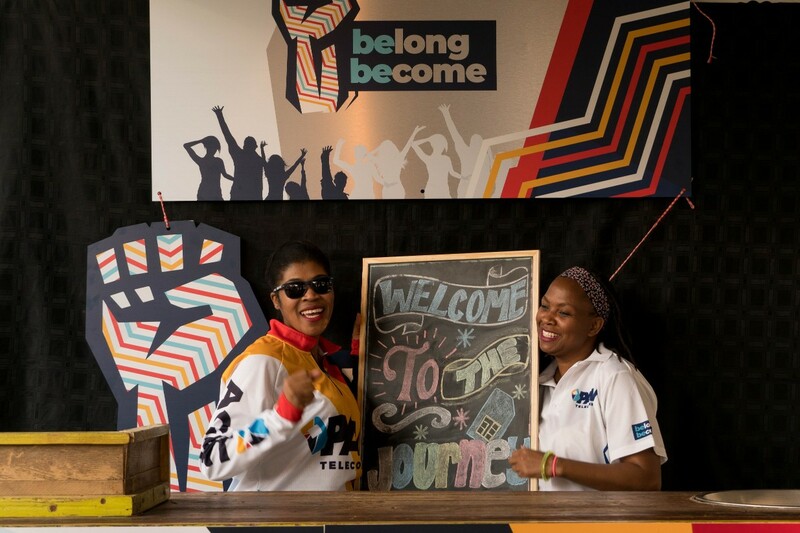 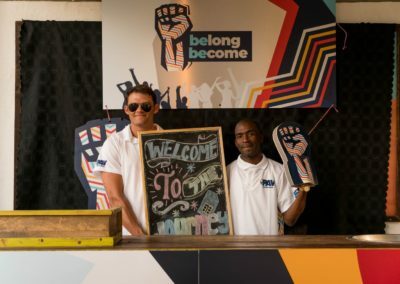 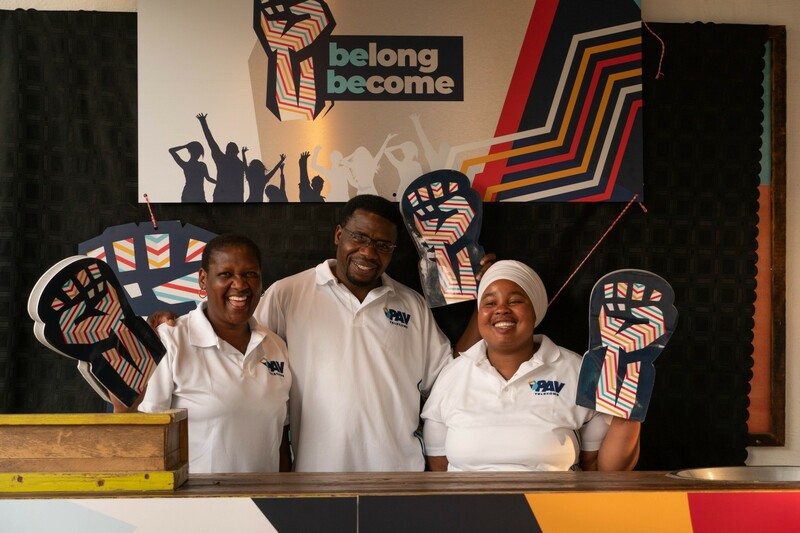 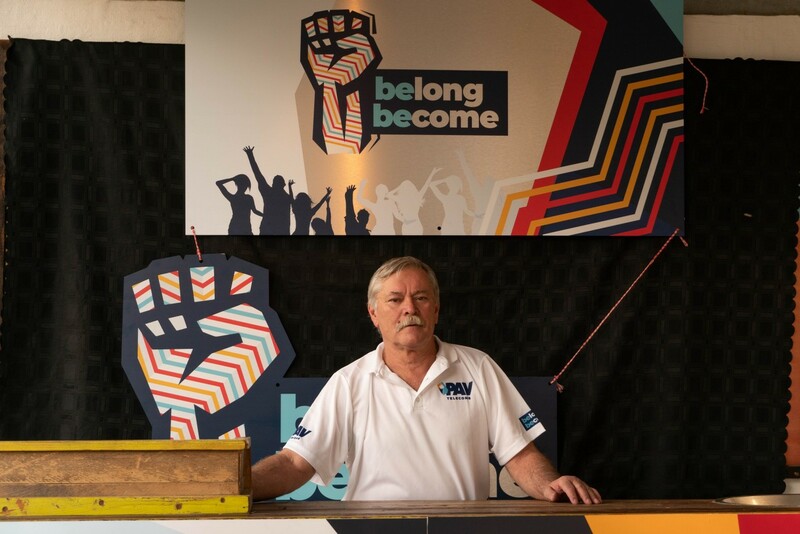 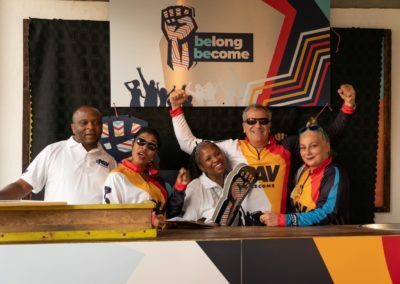 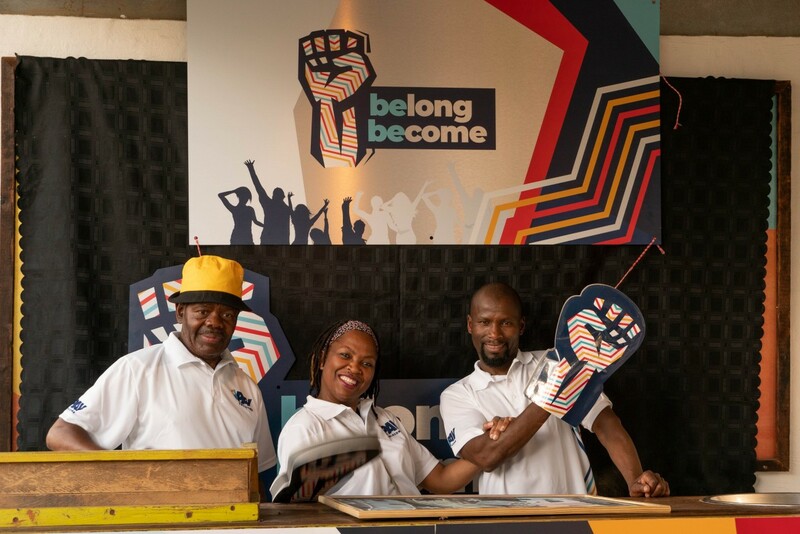 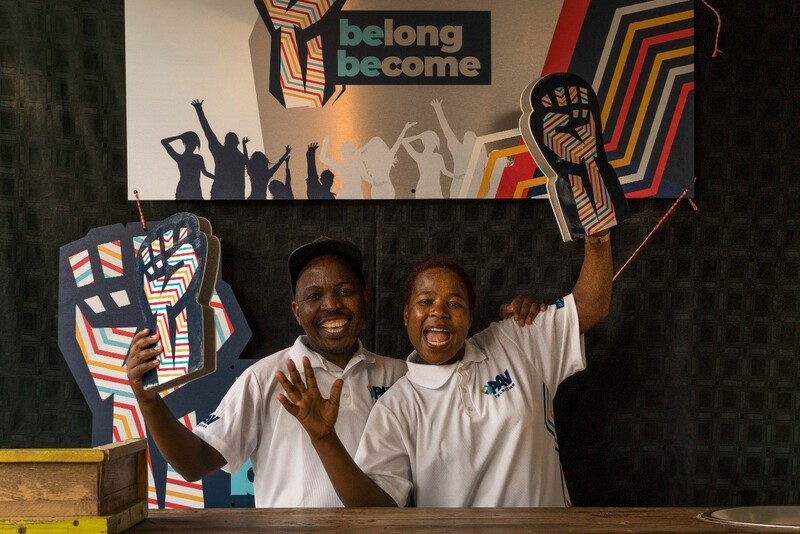 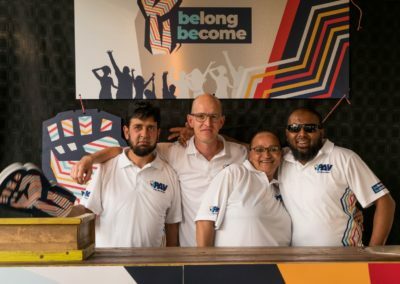 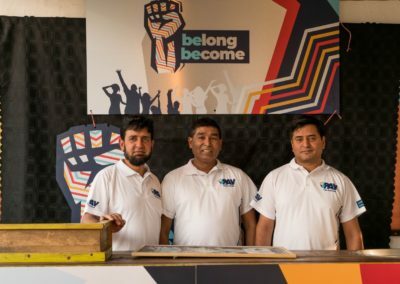 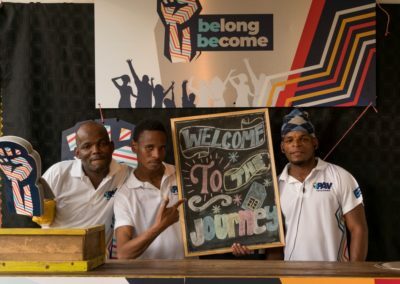 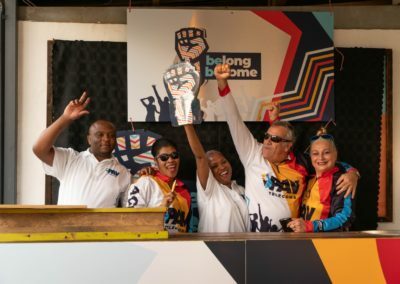 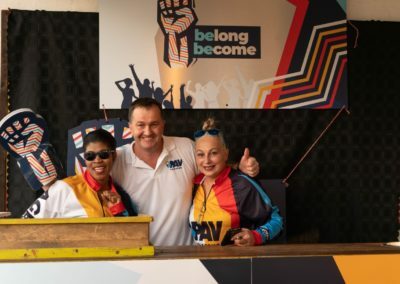 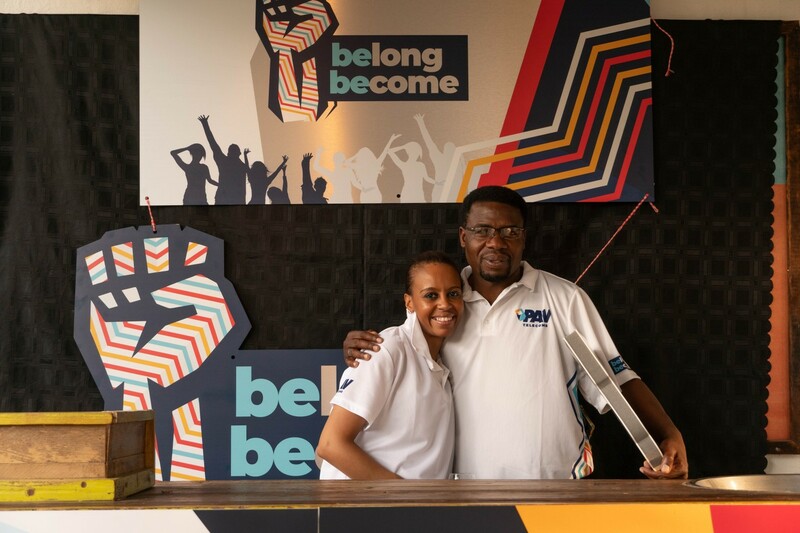 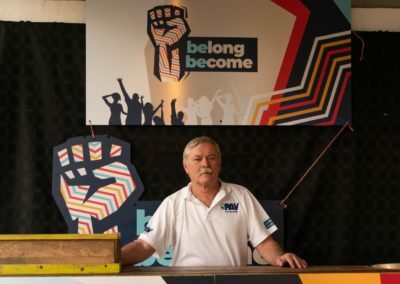 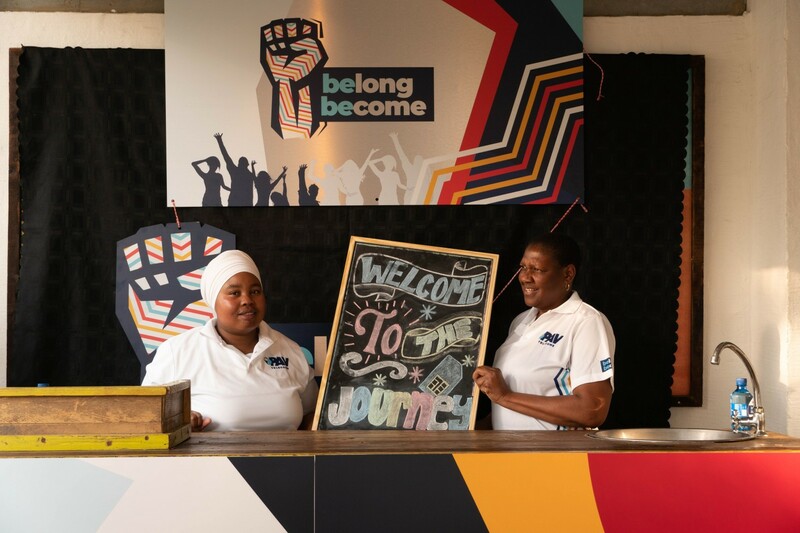 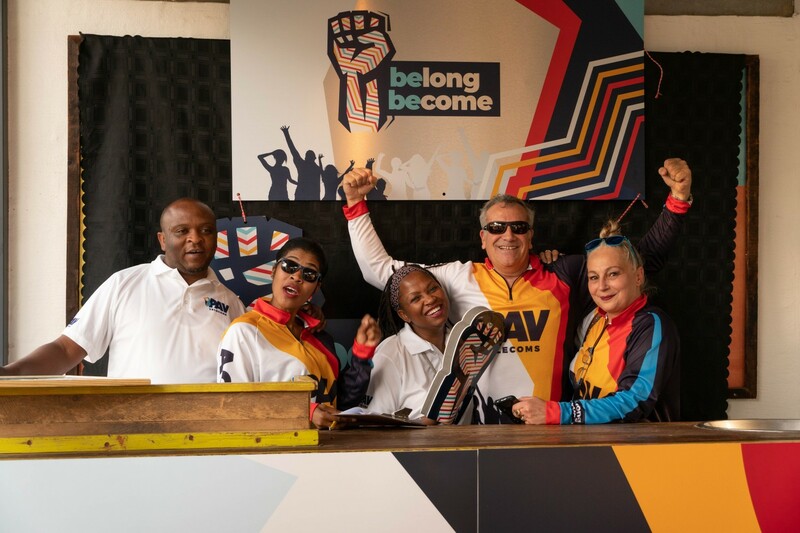 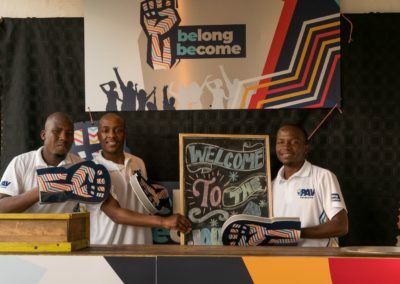 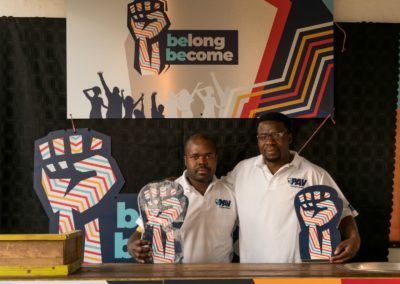 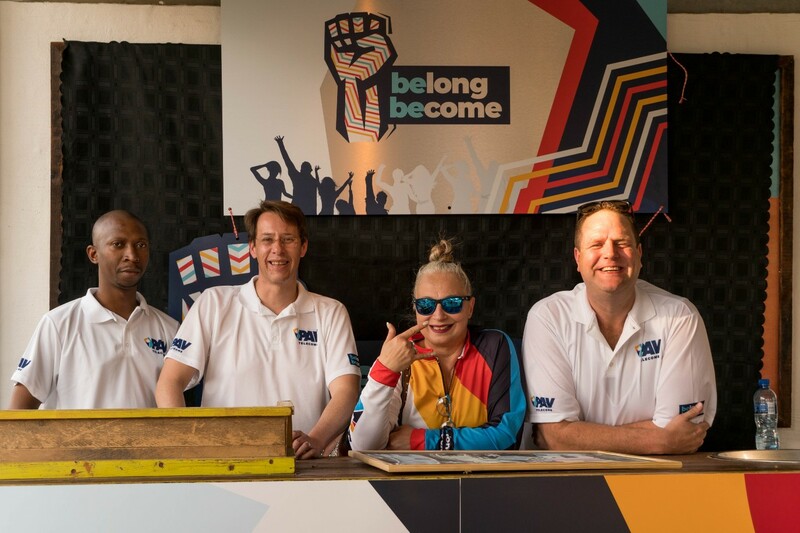 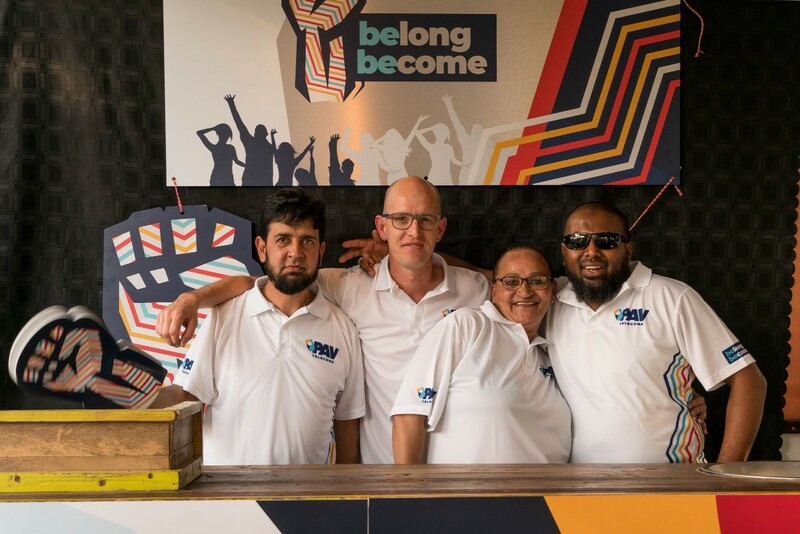 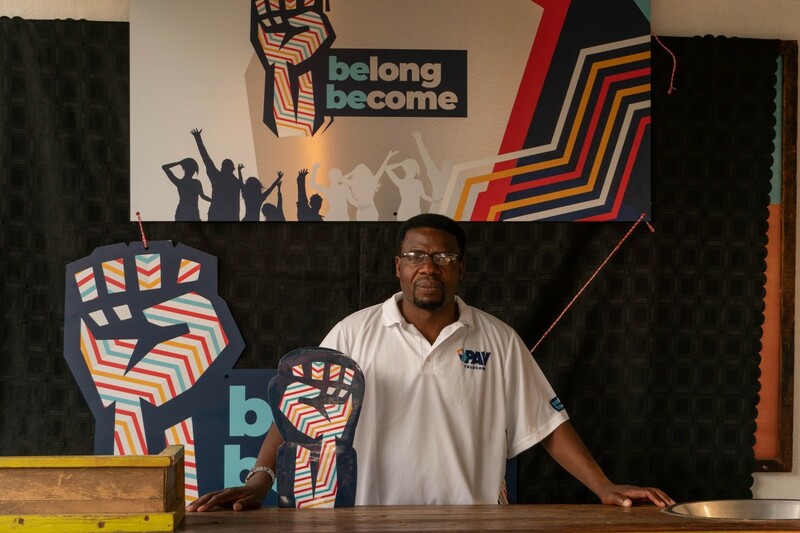 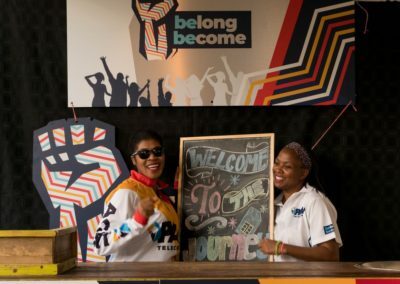 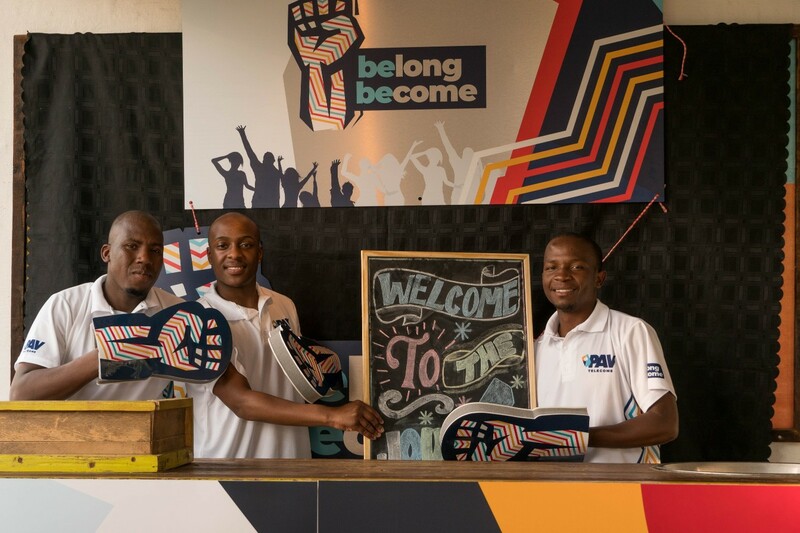 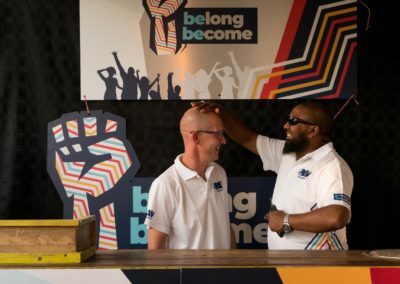 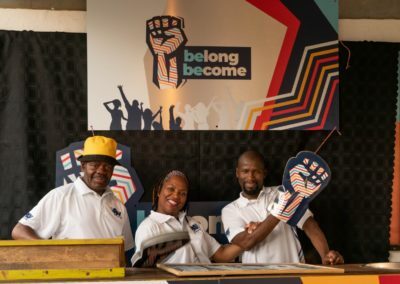 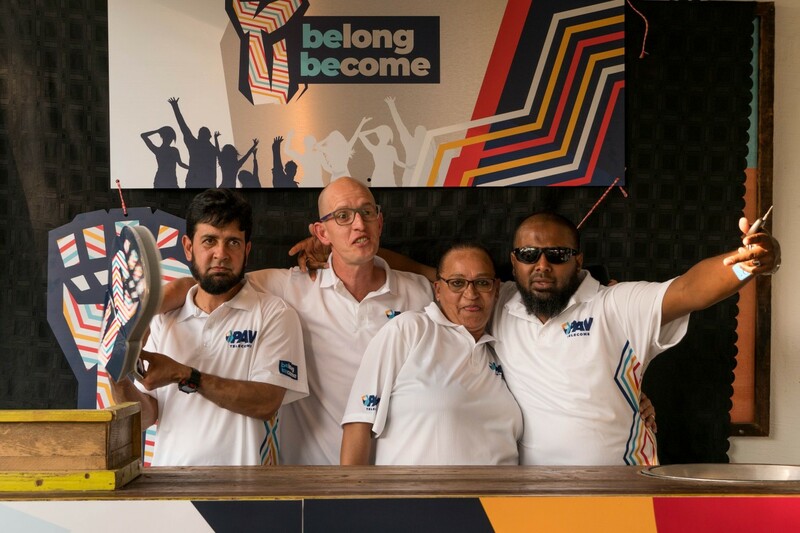 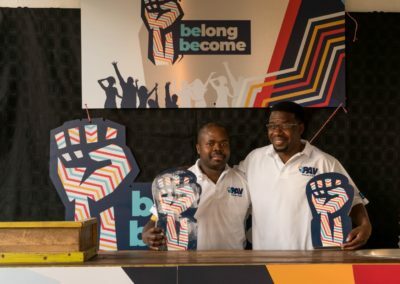 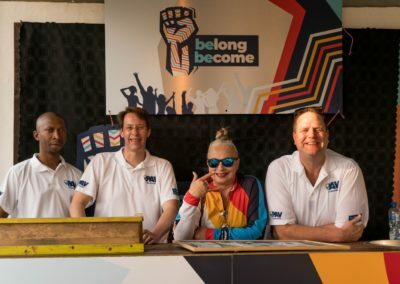 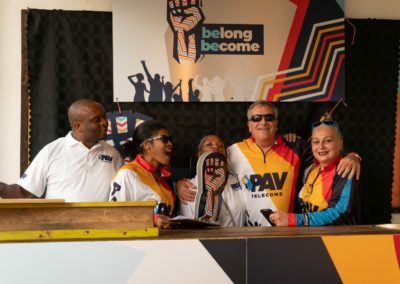 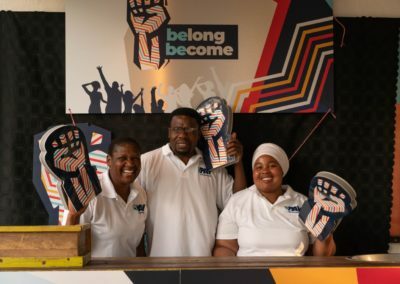 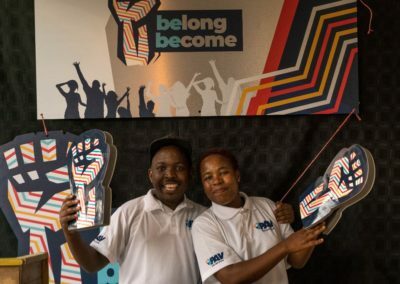 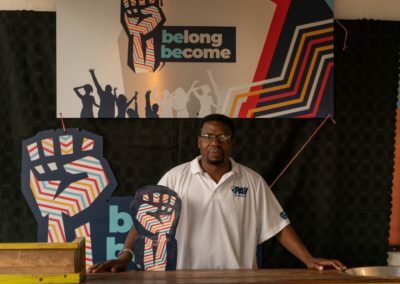 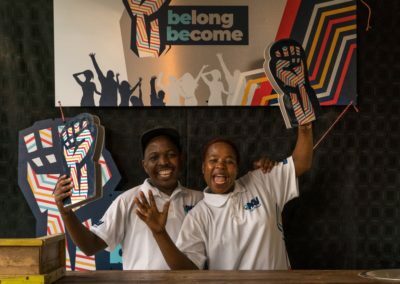 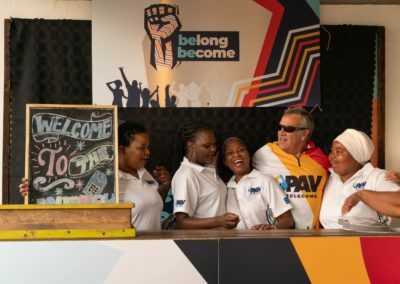 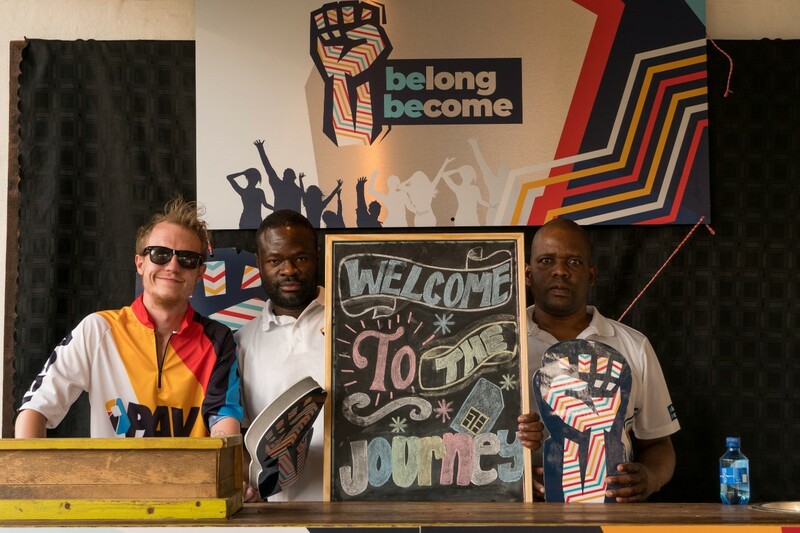 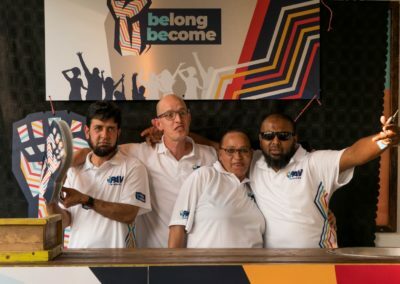 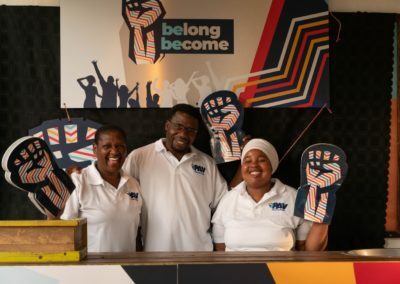 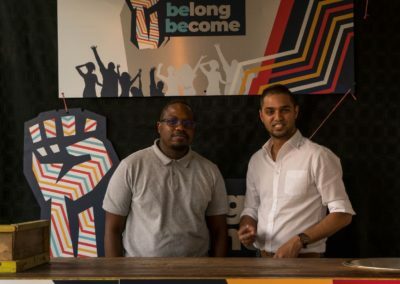 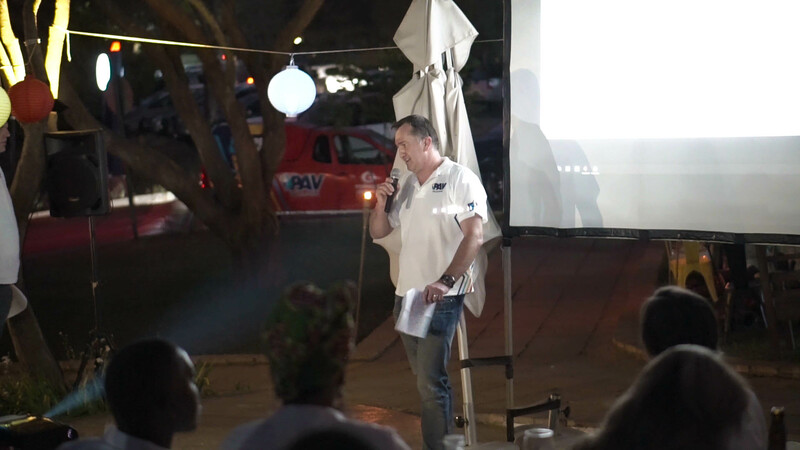 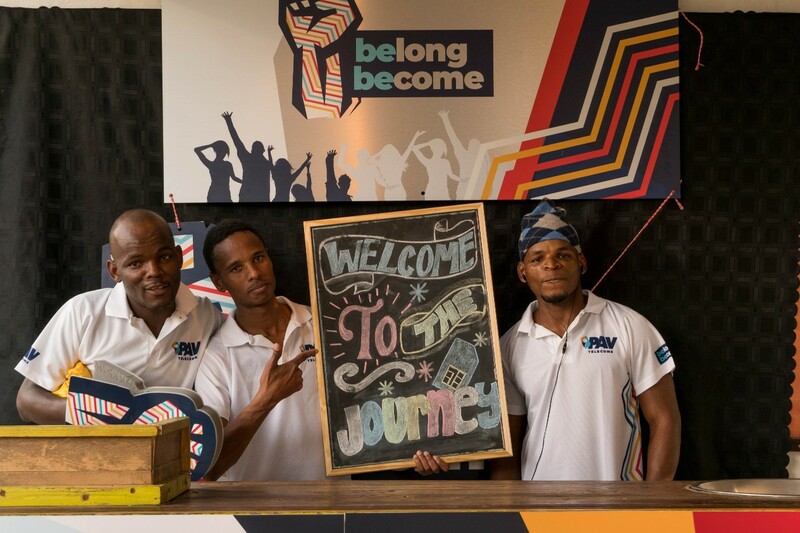 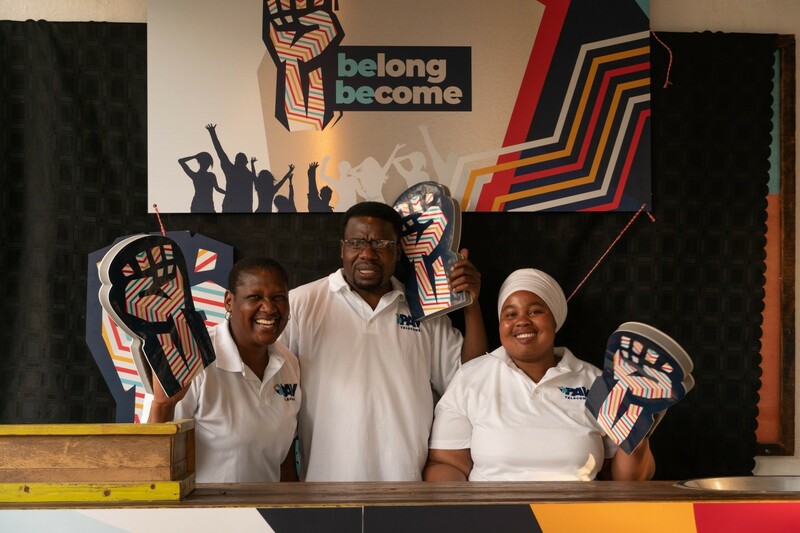 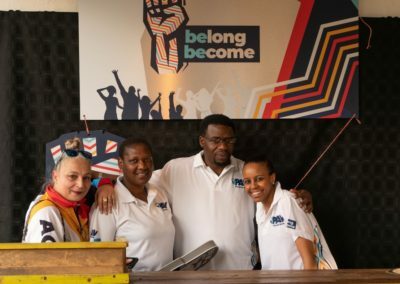 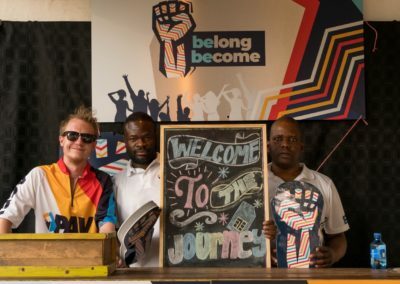 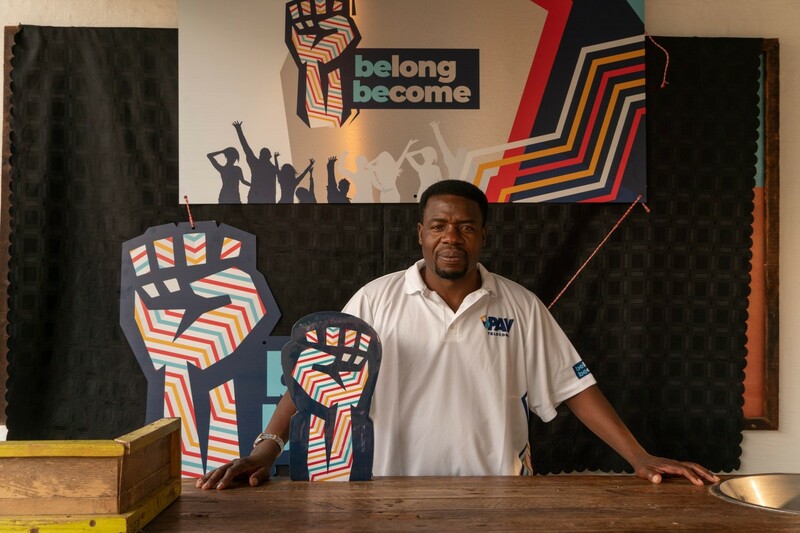 The Internal Launch of the belong and become brand was an experience designed to make the PAV people feel what it is like to belong and become an entrepreneur. 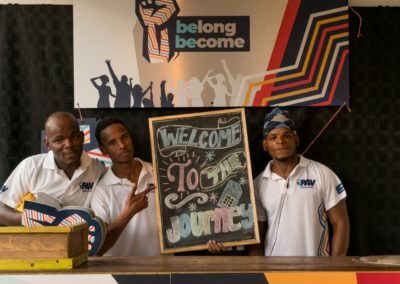 “Woza PAV People we are going on a journey”. 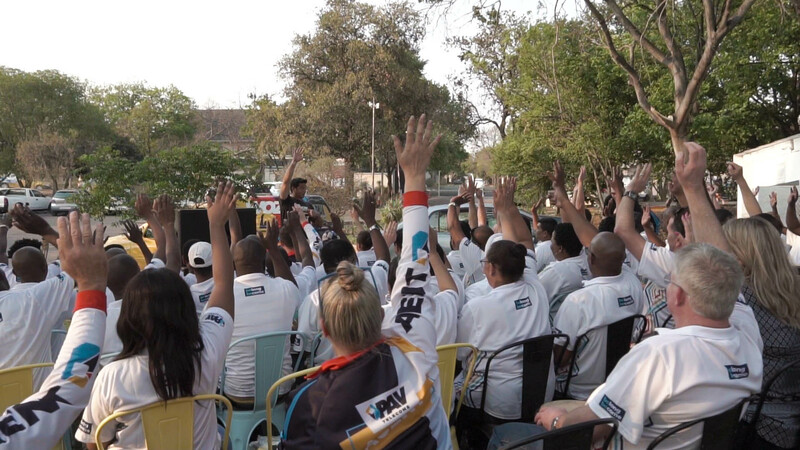 During the day teasers of the idea belong and become was unfolded from computer screens flashing the new brand element, to the call of a drum. 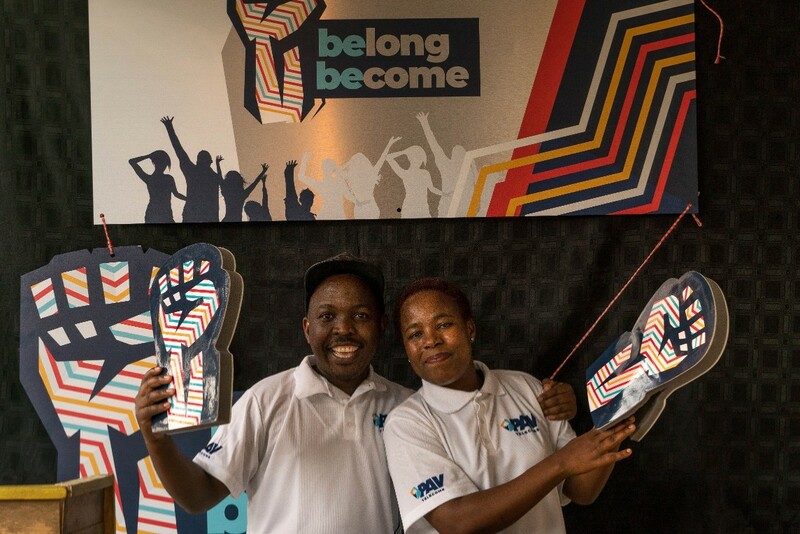 The walk to the launch venue was filled with support from branded water bottles to belong and become branded sticker feet, showing the way. 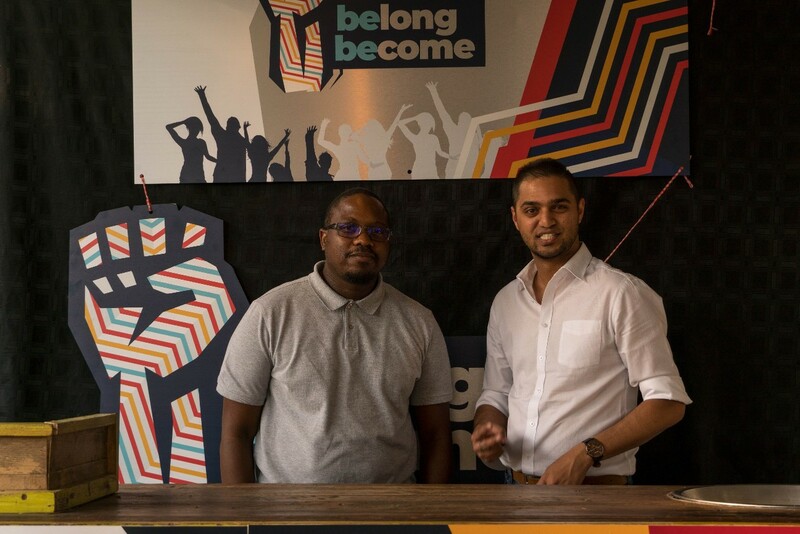 The zig and zag of our brand elements came into sight as the trees stepped out dressed in brand colours. 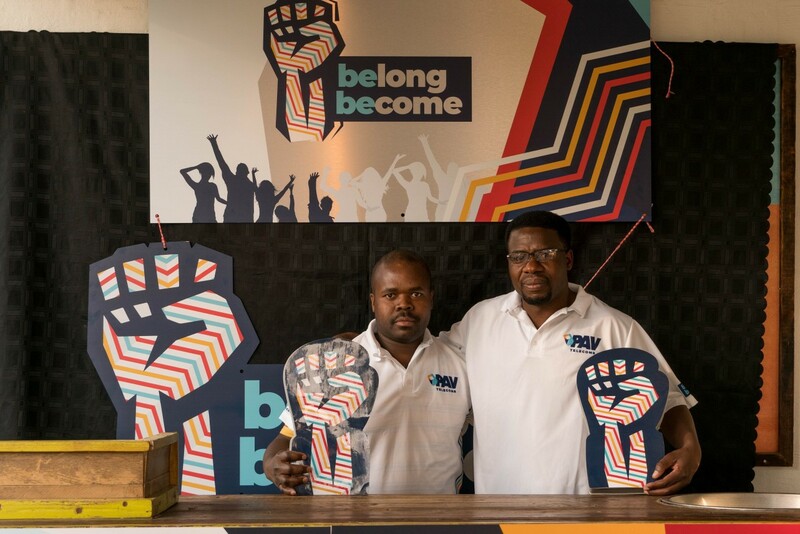 Entrepreneurial revolution fists larger than life became an extension of every one’s hand as they rushed forward to grab and slide them on. 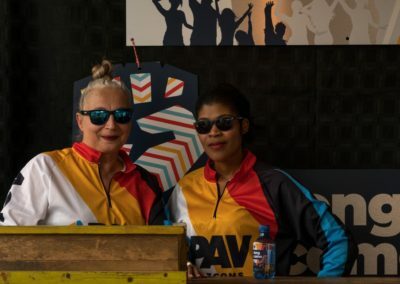 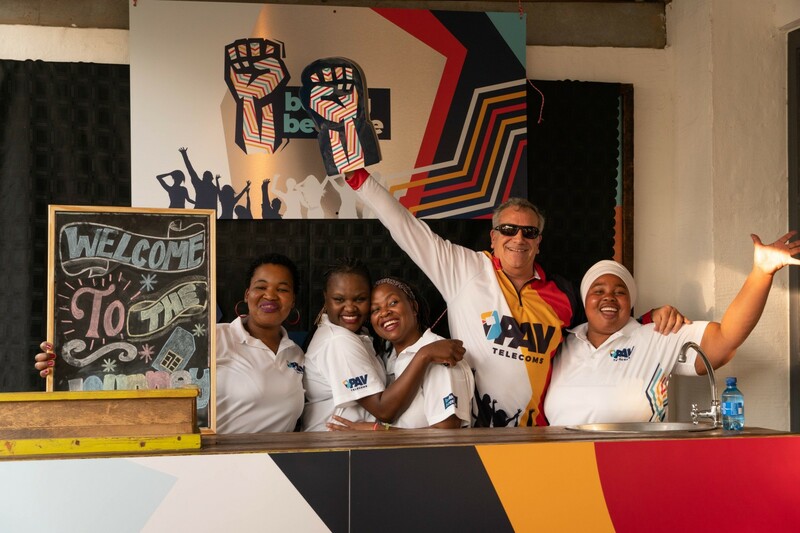 As the PAV people marched on, the spirit of Woza took hold and everyone chanted, raised their gigantic fists in the entrepreneurial revolution salute and danced in unison. 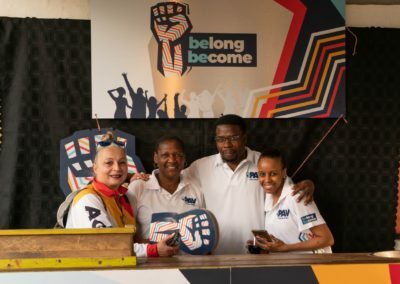 As they entered the Brand Launch location the belong become brand story came into view with our vehicles transformed into our exciting zag that stands out in the crowd. 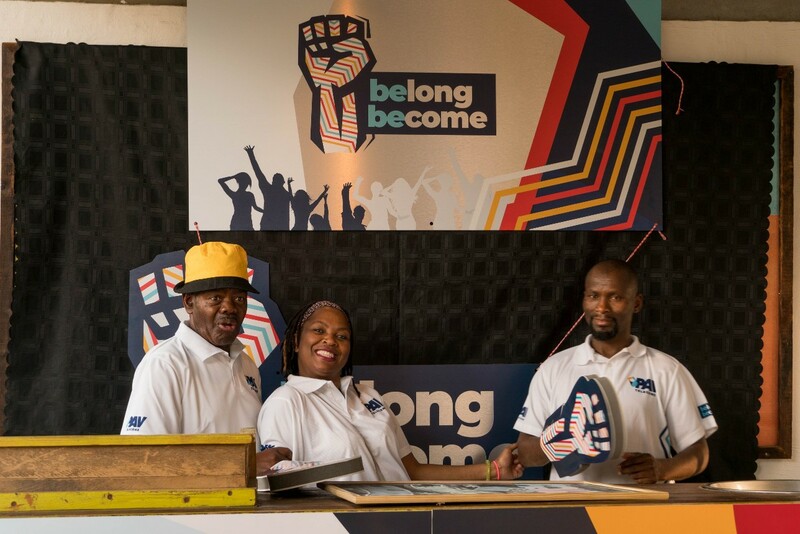 A roar of Woza penetrated the air as everyone passed through the belong become banners and balloons. 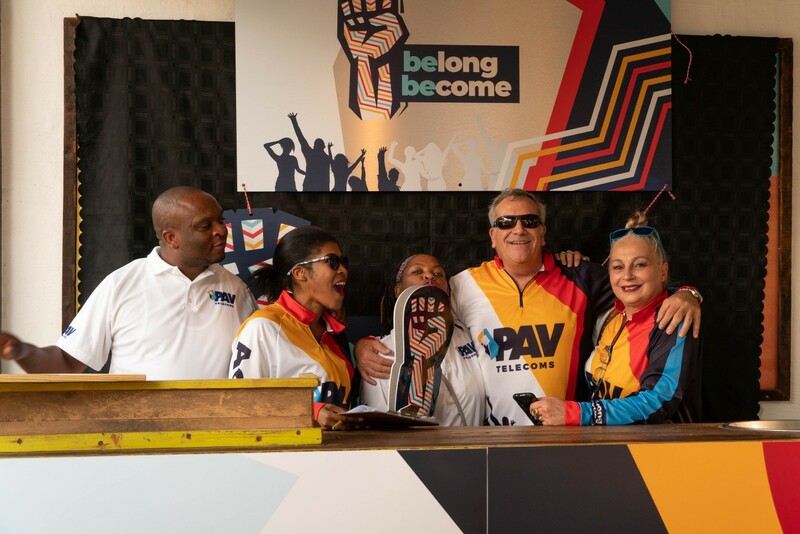 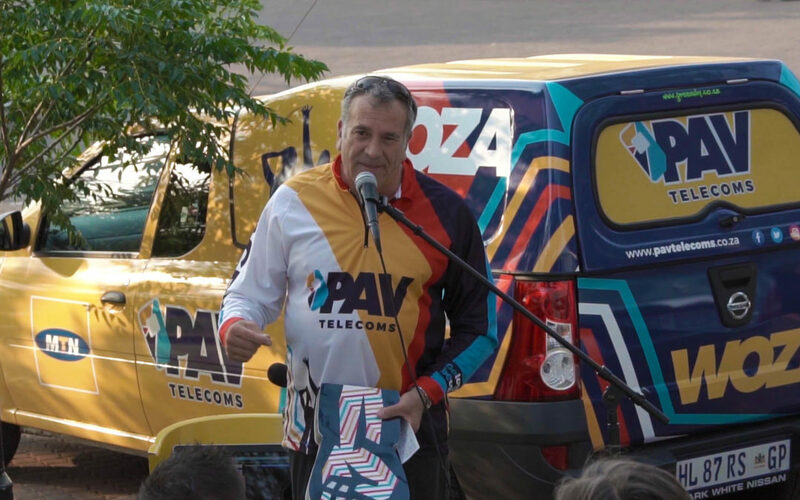 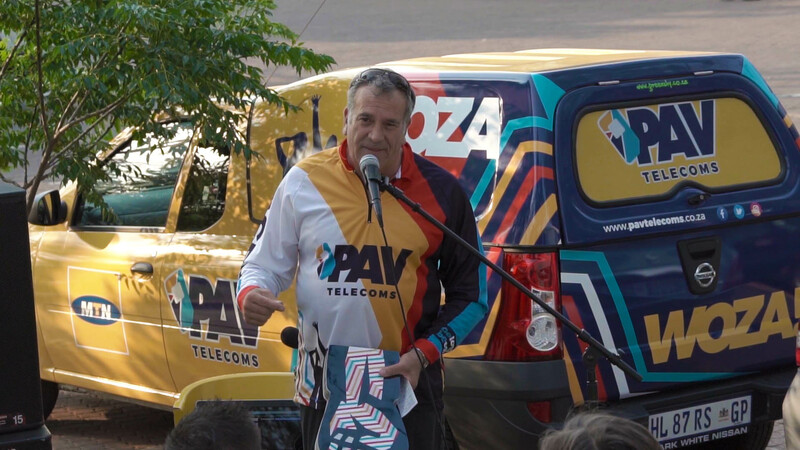 The stream of PAV People lined up at the PAV Place mock store where they were made to feel they belong when everyone received a zag PAV Telecoms designer shirt. In the background a jembe began to express itself and everyone took their place in front of a drum. The rhythm driven facilitator entered and very quickly had everyone become a drummer that felt they belonged to the PAV Tribe. 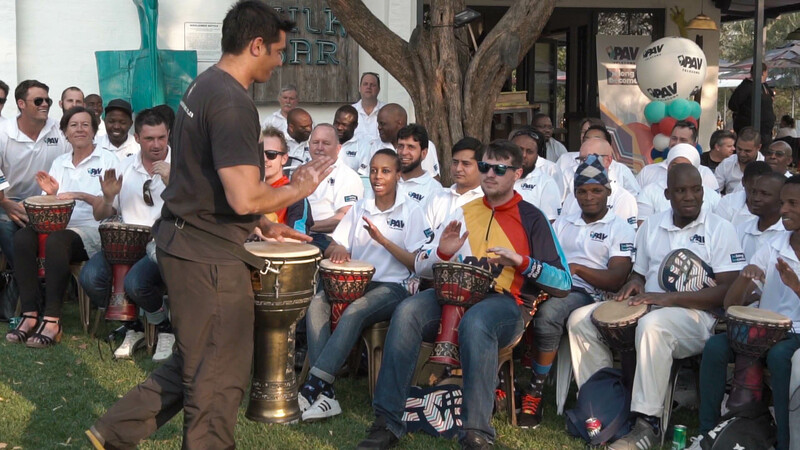 In and out of rhythm the PAV people beat their drums until everyone felt they were part of something that was bigger than themselves. 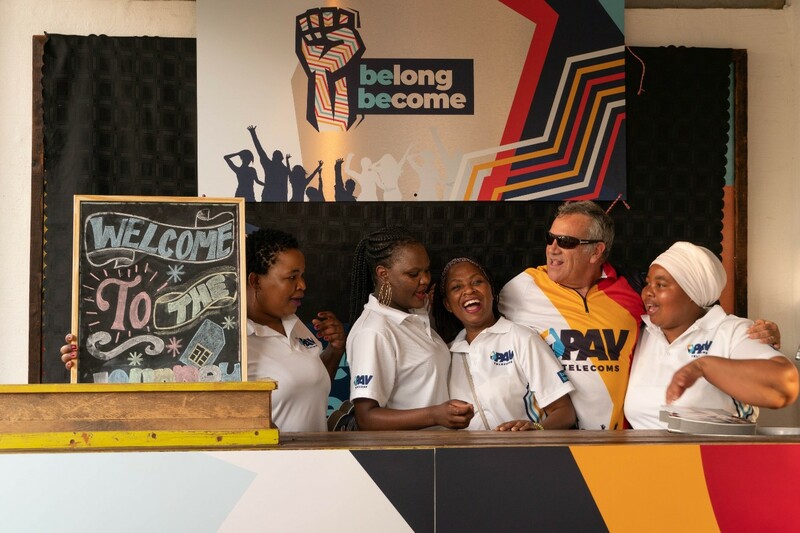 Digging into the scrumptious meals the PAV People were drawn to the belong become film that expressed the new brand with all its elements and meaning. 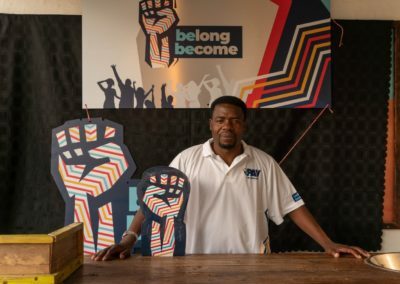 As the film beat its way to the conclusion of the Bree street entrepreneur interviews, a hush settled in. 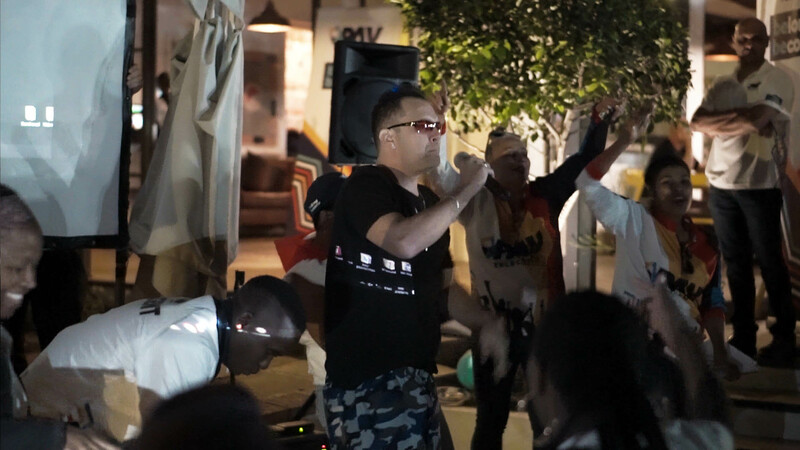 As the film wound down Jody launched into our belong become rap song that signalled the models to walk the ramp and show off the apparel that will make a statement in people’s minds… that they belong to something snazzy and different. 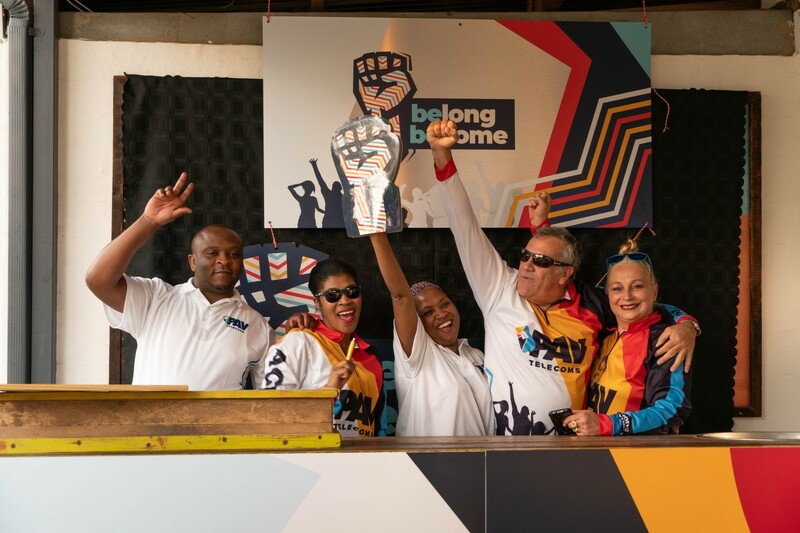 The models in typical township style broke out into a pantsula style that had everyone inspired to join them in the dance.